Note application for Ubuntu and derivatives system - Need a thing to capture your thoughts, notes, schedules or agendas in your Ubuntu desktop?. Then you can try with Simplenote to boost your productivity!. Simplenote is light, clean, and free note taking application that available for major operating system including Linux, Mac, Windows, Android and iOS. 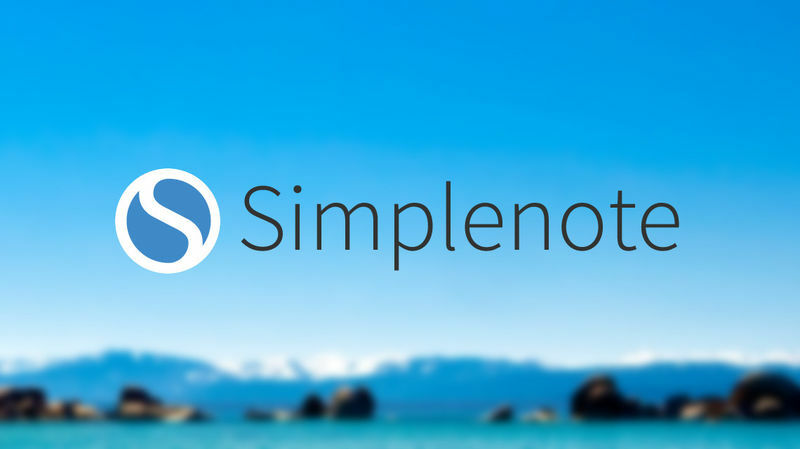 Simplenote is Open Source Software under the GPLv2 license. If you need you can peek the code, or if you're a developer, you can contribute to the project. Use it everywhere : Your notes stay updated across all your devices. No buttons to press. It just works. Stay organized : Find notes quickly with instant searching and simple tags. Work Together : Share a list, post some instructions, or publish your thoughts. Go back in time : Your notes are backed up when you change them. Just drag the version slider to go back in time. Instantly search : Type what you’re looking for, and your list updates instantly. You’ll never misplace an important thought again. It's Free : Backups, syncing, sharing — it's all completely free. Step 3 - Once installed, now you can open the Simple note from Ubuntu dash. Register for new account here. 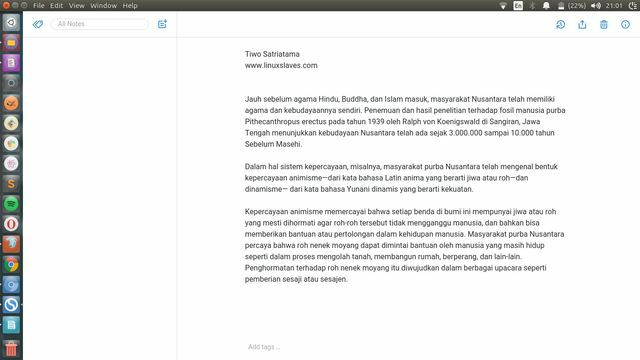 Enjoy the Simplenote on your Linux desktop! 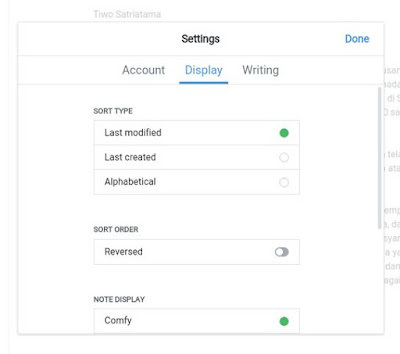 Simplenotes offers two view : light and dark based theme. To change the theme, simply open View menu -> Theme, or File -> Preferences -> Display tab -> scroll down a bit to change the themes. That's all I can write about how to Install Simplenote, modern and open source note application for Ubuntu, Linux Mint, Elementary OS Freya, and derivatives system. Hope it was helpful for you. Thanks for visiting Linuxslaves!.